This report addresses one particular area of concern in the defence sector: offsets. Defence offsets are arrangements in which the purchasing government of the importing country obliges the supplying company of the exporting country to reinvest some proportion of the contract in the importing country. Offsets are big business, and yet they are very opaque and receive much less transparency and attention than they should, given their susceptibility to high corruption risk. Many government and defence industry professionals share our view that the integrity around offsets transactions needs to be improved significantly. 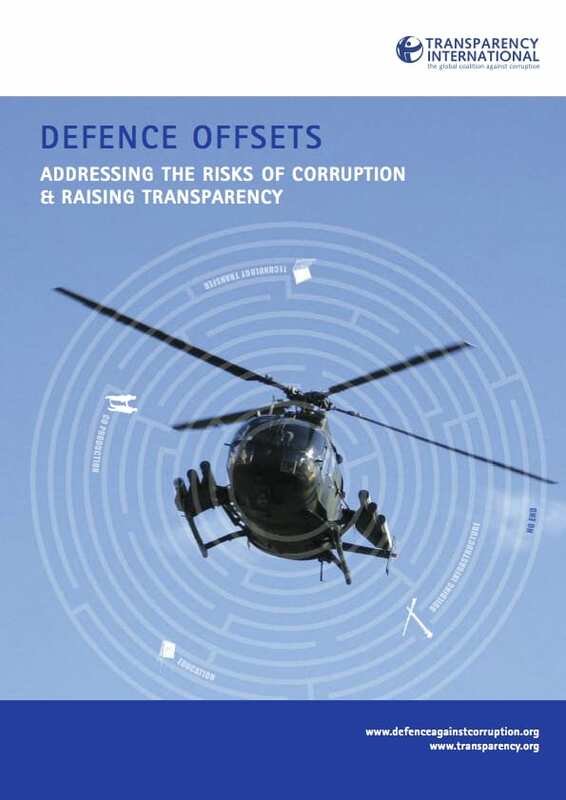 The publication explores the issue in depth, looking at current industry and government practices, and exploring the nature of the corruption risks associated with offset arrangements. We also look at the economic arguments in favour of and against offsets.